Dr. Vinod M. Mohitkar has been selected as Director, Maharashtra State Board of Technical Education / Joint Director, Technical Education, M.S. 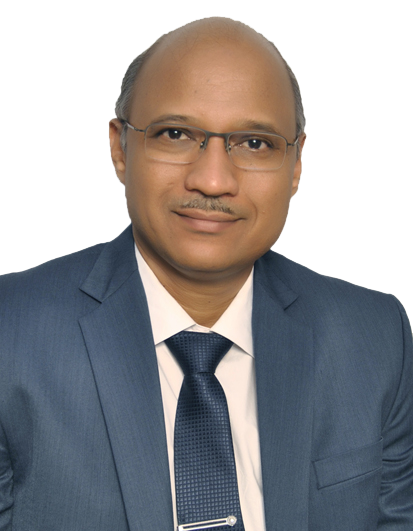 through Maharashtra Public Service Commission and has been appointed as Director, Maharashtra State Board of Technical Education by Government of Maharashtra. He has taken charge of Director of Maharashtra State Board of Technical Education, w.e.f. 28th November 2017. He is an engineering graduate with excellent academic record and is a recipient of National Merit Scholarship & State Scholarships. His academic credentials include Bachelor’s degree in Civil Engineering from VRCE Nagpur, Master’s degree in Civil Engineering from MS University Baroda, Doctoral Degree in Civil Engineering from Sant Gadge Baba Amravati University and Master’s Diploma in Business Administration from Symbiosis Institute of Management Studies, Pune. He is working in the field of Technical Education for the last 17 years in various capacities: as an administrator to a policy maker. He had been working as Secretary of Maharashtra State Board of Technical Education since last 5 years. He is credited to have worked as a Deputy Director of Technical Education. He was initially appointed as an Assistant Director (Technical) of Technical Education in 2000 through Maharashtra Public Service Commission. Prior to joining these Government Services, he has served as an Assistant Transportation Engineer in City and Industrial Development Corporation of Maharashtra Limited (CIDCO), Navi Mumbai for a decade. He was instrumental in the success of “Canada India Institute Industry Linkage Project (CIIILP)" and World Bank assisted “Technical Education Quality Improvement Program” Phase II (TEQIP-II) for the State of Maharashtra. He is a member of Indian Roads Congress, Indian Society for Technical Education (ISTE) and Institution of Engineers (India). He has also represented various statutory bodies/organizations as a member. He has published more than 35 research papers in International/National Journals. He is recognized as Ph.D. Supervisor by Sant Gadge Baba Amravati University, Rashtrasant Tukdoji Maharaj Nagpur University & Veermata Jijabai Technological Institute (VJTI) Mumbai and as a guide for Ph.D. students in the field of Civil Engineering. Four students have been awarded Ph.D. under his able guidance. Three patents are registered in his name. He has been awarded with “Sir C. V. Raman Memorial Award” for worthy contribution to society in the field of Science & Technology by Science and Kainat Society of India in 2012.